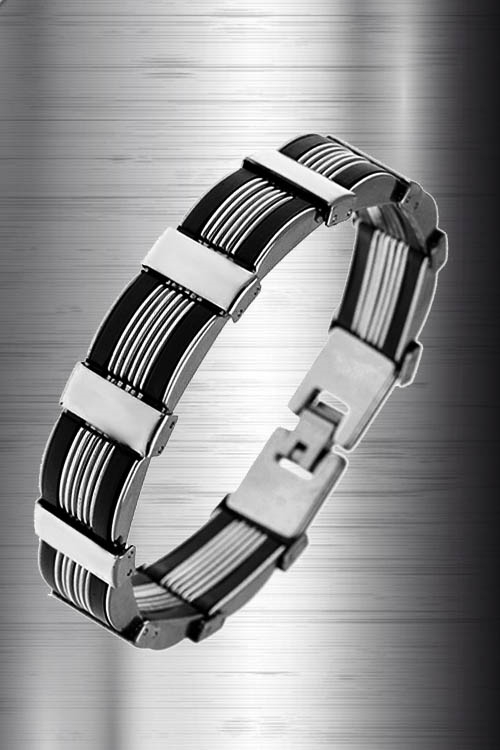 Stainless Steel & Rubber Bracelet. NEW! A Hot Bodz Exclusive! We start with the craftsmanship, each piece is skillfully produced with high quality stainless steel to bring you jewelry that is truly an enduring work of art. The 8.5 Inch bracelet is designed with Stainless Steel & Rubber that is both contemporary and unique. This Edgy & Raw jewelry is sought after as an endless reminder of strength and confidence and it is our privilege to offer it to you.